Carl Malone was born March 24, 1938 to Otis C. and Birthel (Frazier) Malone in Muncie, Indiana. He departed this life on Monday, April 1, 2019 at his home. 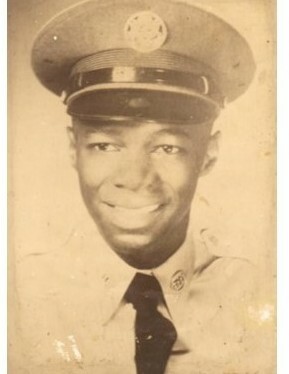 Carl attended Muncie Community Schools and served in the United States Air Force. In 1956, he met and married Velma L. Wilcox and to this union they welcomed five children. Carl’s career spanned over 40 years at Indiana Steel and Wire as a wire cutter. He was a proud member Prince Hall Grand Lodge #55. He was a sports enthusiast, with a passion for boxing but nothing compared to playing cards and games with his grandchildren. He leaves to cherish his memory, three sons; Carl E. (Vivian) Malone, Troy Allen Malone and Jeffrey Eugene Malone all of Muncie; one daughter, Sondra Darlene (RC) Kelly of Belleville, IL; several grandchildren, great- grandchildren and great-great-grandchildren as well as a host of nieces, nephews, cousins and friends. He was preceded in death by his wife, Velma L. Malone; son, Ortago Malone; granddaughter, Tashica Malone; daughter-in-law, DeLisa Shaw-Malone; his parents and siblings; Mary Stewart, Martha Malone Hughes, Gloria Branson and Jeraldine Burris.